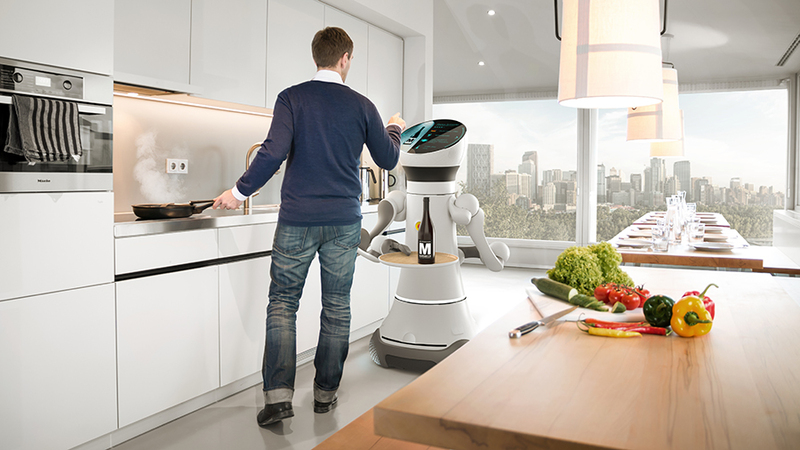 The interactive robot prototype was originally developed by Fraunhofer IPA as an assistant robot to actively support humans in areas such as the household, hotels, care homes and hospitals. IPA scientists worked together with the design studio Phoenix Design and Schunk over a period of three years to complete the fourth generation of the robot. While the predecessors of Care-O-bot 4 were used primarily in the development of technological fundamentals from 1989 onwards, the latest version is a modular product family offering elementary commercial solutions for the first time. Fraunhofer IPA is now working with its spin-off company “Unity Robotics” to ensure the solution is suitable for use in various commercial application areas. Saturn is the first customer to make use of the robot platform in real-life scenarios. The project will initially run for six months, with practical findings from customer interactions and employees directly incorporated into the further development of robot technology. For the assignment with Saturn, the Stuttgart-based scientists supplemented Care-O-bot 4’s software and hardware with additional features. Ulrich Reiser, IPA project manager, explains: “For example, we specified Paul’s navigation, dialog communication and facial expressions. Semvox and Phoenix Design helped implement these changes.” Laser scanners at shin level help with Paul’s orientation. Paul’s front camera and the “Shore” software developed by Fraunhofer IIS allow him to ascertain the mood of the person he is dealing with and express their emotional state. Microphones and cameras for speech and gesture recognition respectively allow Paul to communicate with those around him. 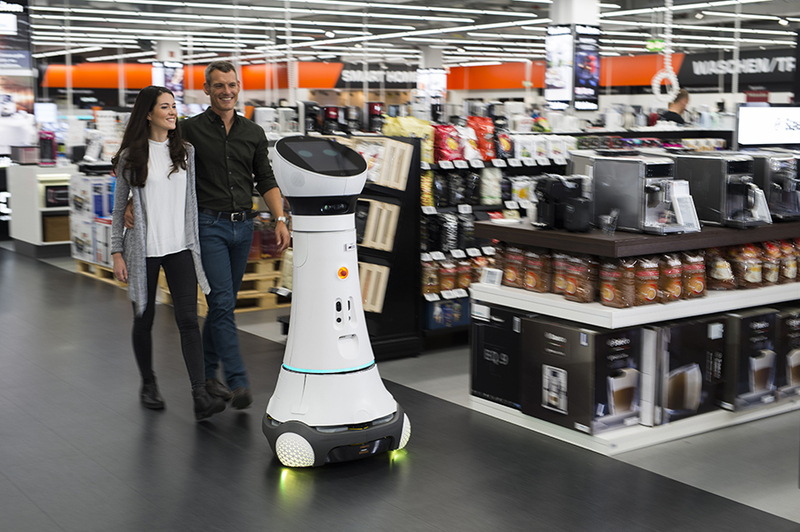 Care-O-bot 4 is not only making a positive impression as a retail assistant. With its modular construction and open software interface, the system can be used in many different application areas. It could, for example, conceivably be used as a mobile information kiosk in shops and airports, for pick-up and delivery services in homes and offices, for security applications or as an attraction in a robotics museum. “We retain an interest in ensuring that as many scientists and companies as possible are able to work with the system in order to expand its potential areas of application”, Reiser explains. Within the framework of the Care-O-bot 4 research platform, experts from around the world can further develop the software and hardware components. 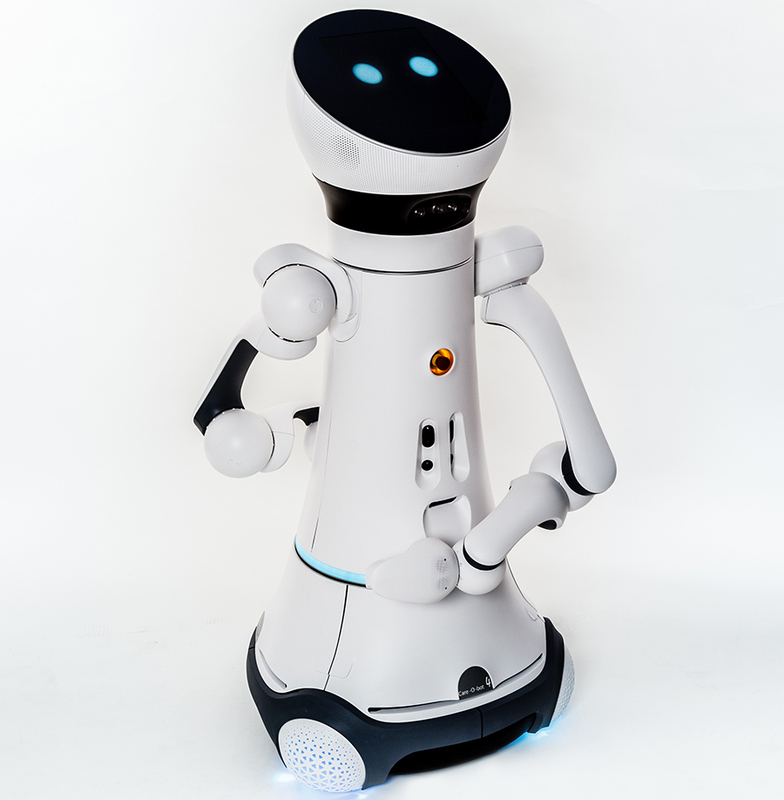 Together with the spin-off company Unity Robotics, IPA experts are intending to adapt applications to the needs of companies, making Care-O-bot 4 available as a commercial product.